Sustainable Kashi is an interactive demonstration program dedicated to teaching sustainable environmental practices. Sustainable Kashi offers a perfect site to learn, practice, and observe a functioning model of abundance. 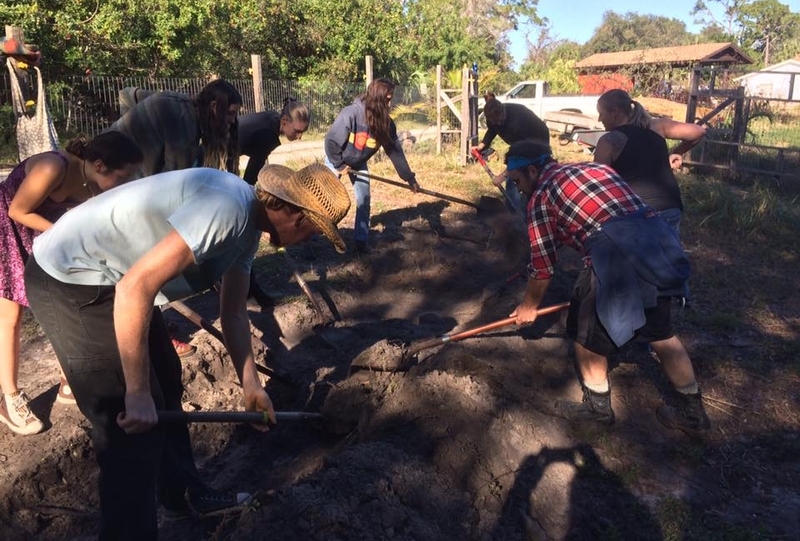 “Feed everyone” is our philosophy and permaculture is our approach. Come out and see what’s growing in the gardens. Permaculture is an integrated design system that helps create abundant systems. We use simple design principles and core ethics that enable us to mimic nature’s patterns in order to work with the ecology and biodiversity of existing eco-systems. When we create with nature, the result is a more abundant system that requires less maintenance. Permaculture is the framework that we use to build this system of abundance. Sustainable Kashi offers volunteer programs in which dedicated students can camp in our off-grid eco-village and learn hands on skills for living more directly connected to nature. This three week program includes healthy vegetarian food, yoga 5 days a week, community living, and an apothecary program. Fill out application here.